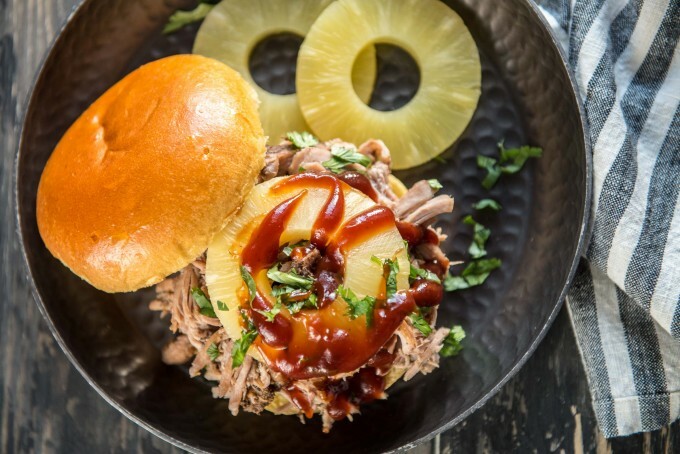 This easy Slow Cooker Pineapple Pulled Pork has tons of tropical flavor that is perfect for any summer BBQ! Piled high with barbecue sauce an a slice of pineapple, it makes great tacos or even sliders! Utilize your crockpot to make cooking easy this summer. Do you have any foods that particularly remind you of summer? Watermelon and potato salad, burgers and hot dogs are some that come to my mind initially. But when I think about flavors, pineapple is my summer go-to. I love putting pineapple into drinks like this The Painkiller Drink and Pineapple Mojito, and sweets like this Pina Colada Bread and Pineapple Orange Poppyseed Muffins. But what I’ve really been into lately is mixing the sweetness of pineapple into savory dishes. I’ve been seeing recipes with pineapple everywhere, so I knew I needed to come up with something to satisfy my craving. This Pineapple Pulled Pork popped into my head and man, is it good! It has the perfect balance of savory and sweet, with a little kick from the barbecue sauce. And the best part? You won’t believe how simple it is – there is almost no real work required. Just rub on the seasoning, pour in the juice and let it slow cook all day! With all the hustle and bustle of summer, this is the perfect easy dish. 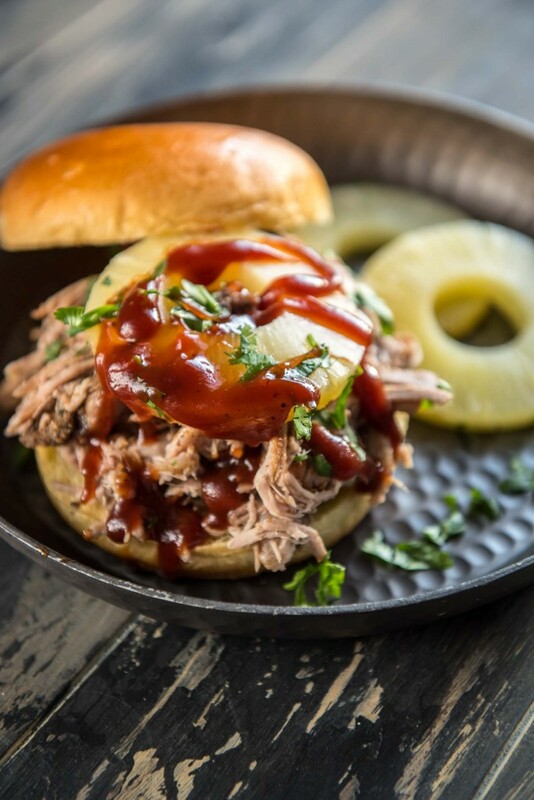 I like serving this pulled pork on hamburger or slider buns, but it would also be great in a taco! And if you have some extra time, adding a slice of grilled pineapple would really take this pulled pork over the top! The internal temperature of the pork should reach 205 degrees F for optimal shredding. adding it to the slow cooker. 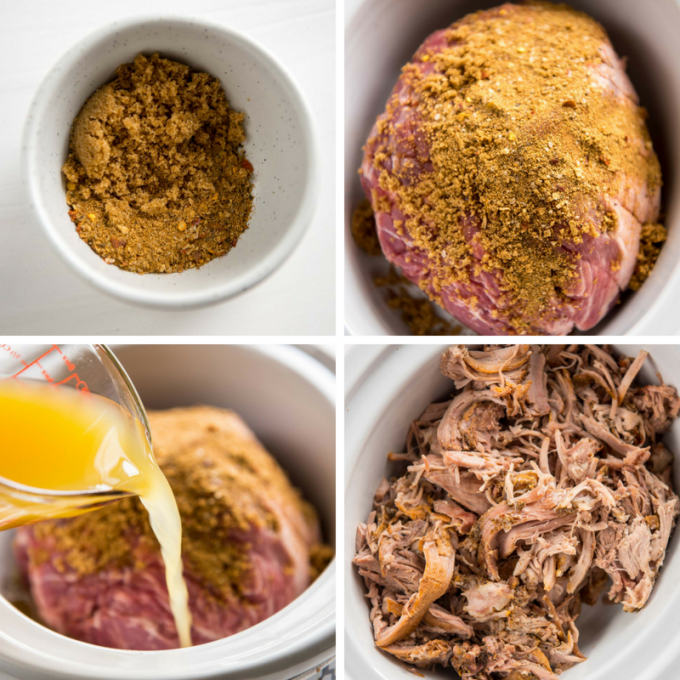 Crock Pot – This 8- quart Crock Pot is the perfect size to make this pulled pork. Hand Mixer – Using a hand mixer like this one is my new favorite way to shred meat! 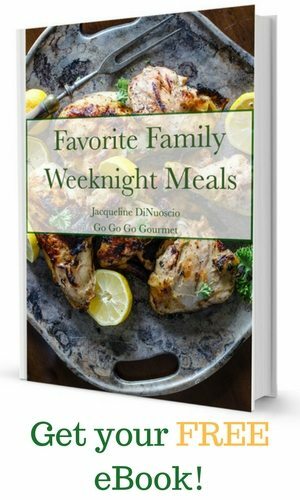 Love this recipe for a fake-out BBQ – it feels like you’re outside slaving over the grill, when in fact it’s been slow-cooking all day! Yum! 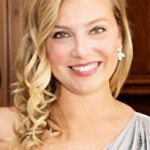 I’ve always loved pulled pork, but this is one of my favorite recipes! Cannot wait to make it again—a winner! Slow cooker pulled pork is one of my all-time favorite things. I especially love it during the holidays when it can feed a crowd. Great recipe!